PRESIDENT’S REPORT FOR ANNUAL GENERAL MEETING, NOVEMBER 2007. It is with pleasure, I present the Presidents report for the year past. The Society year has been one of change brought on by the effects of the drought, thus the need to alter our activities to fit. The recognition of the Vireya by some of the garden writers was good news. 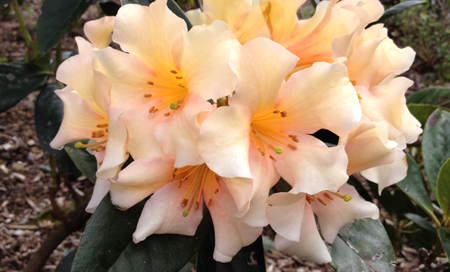 At a time when the Rhododendron seems to be out of fashion, we have the Vireya to thank for continued interest in the genus by gardeners.